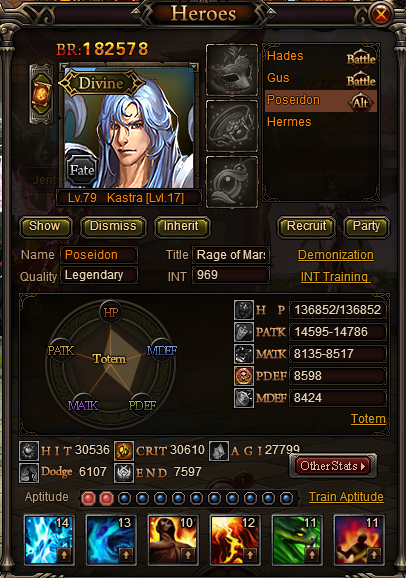 First question is: ;Should I swap out Poseidon for Hermes? ;I have one and wondered if he would be better than Poseidon. 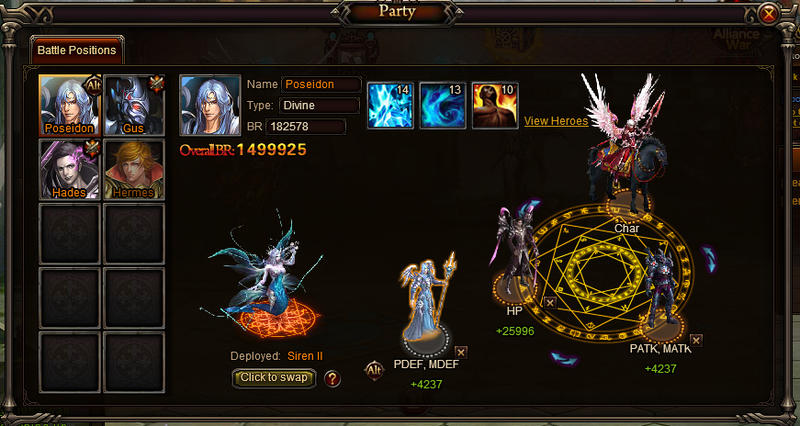 Second question is: ;Should I swap around my Battle Party? ;I\'m still kinda lost as to how to make the most of my hits. Last question: ;Each of my Heroes is Totem set for War and Nature. ;All three. ;Should I change those? Thanks for any help and insight! 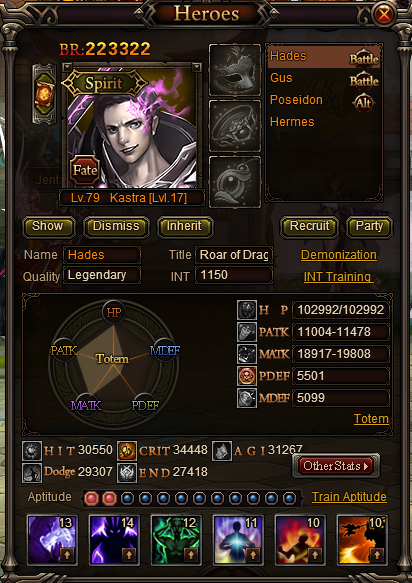 Sooooo -- Hades is kind of a waste for my current character and setup? 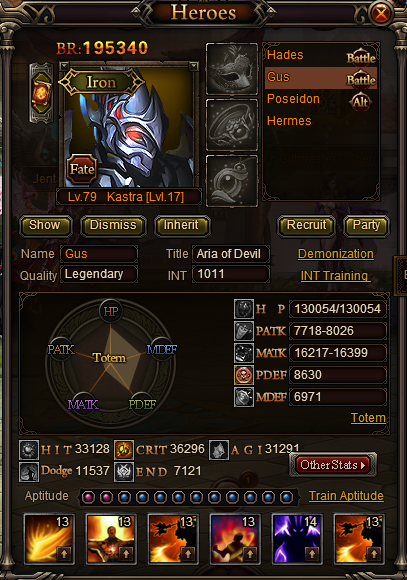 Hermes is better? I wouldn\'t have thought that. I really appreciate your response and help! ;Thanks for taking the time to write this out! 2019-4-23 06:50 GMT+8 , Processed in 0.068436 second(s), 40 queries .